Our interview series celebrating 100 years of the National Park Service in the United States and the important role soil plays in these parks continues. We head over to the highest peaks in central North America to speak with retired soil scientist, Lee A. Neve who worked for the USDA-NRCS for 36 years. 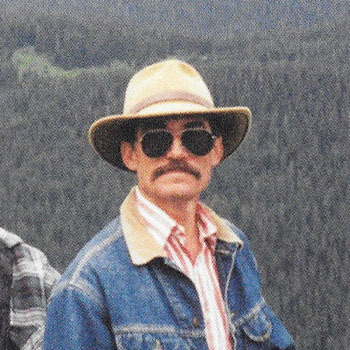 From 1994-1998, Neve was in charge of completing the soil survey of Rocky Mountain National Park in Colorado. Lee A. Neve is originally from Holland, Michigan and moved to Arizona at the age of 9, living in Phoenix, Tuscan and Flagstaff. He received a BS degree in Biology from Northern Arizona University in 1974 and a second BS degree in Soil Science from the University of Minnesota in 1977. He was hired as a soil scientist in 1978 working in Walsenburg, CO on the Huerfano County Soil Survey until it was completed in July 1979. He transferred to Trinidad, CO to work on the Las Animas County Soil Survey at that time and stayed there until it’s completion in 2006. During the period he was stationed in Trinidad and worked on projects in Fremont Count (1980-1983), Lincoln County (1986-1987), Park County (1989-1990), Roosevelt National Forest (1990-1994), and RMNP (1995-1998). In 1983, while in Trinidad, he was promoted to Soil Survey Project Leader for the Las Animas County Soil Survey and was also in charge of crews in the RNF Soil Survey and RMNP. In 2006, he finished the Las Animas County Soil Survey publication and was promoted to MLRA Soil Survey Leader in Pueblo, CO where he remained until retiring in 2014. What is Unique About the Soils of Rocky Mountain National Park? Rocky Mountain National Park consists of all mountains and valley fills that have been modified by glaciation. Many of the soils, especially the mountain slopes have very coarse textures (outwash material) with very low organic matter content. Consequently the soils are strongly acid with Ph below 5.2. Because of the acidity and coarse textures the soils have poor development. On north-facing slopes with Englemann’s Spruce canopy, we identified the first Spodosol within the state of Colorado. We also used Isotic mineralogy for several other new soils in the survey area, again the first to be identified in the stated. The valley fills were dominantly covered with a thick layer of peat, usually 10 to 20 inches thick and usually had dark mollic colors underneath. These areas were identified as important wetlands within the park. Containing over 300 miles of hiking trails twisting past Colorado's wildlife and wildflowers, lush, wet deep forests span the west side, while dry, glacial peaks span the east. Granite, gneiss and schist are shown in soil samplings and textures range from sandy to gravel. Because of this, soils within Rocky Mountain National Park are not fit for farming, but are excellent for studying and learning. An area of map unit 33-Rock outcrop-Rubble land complex, 30 to 200 percent slopes, in an Alpine Life Zone. The Rock outcrop is on the upper park of the mountain slopes where the bedrock is exposed. The Rubble land is on the lower part of the mountain slopes where slopes where rock has tumbled and accumulated. What Do the Soil Colors at Rocky Mountain National Park Tell Us? The Munsell Soil Color Book was essential in identifying the mollic colors mentioned above. Most were 10RY 3/2. The Spodosol had a cambic horizon that looked orange in color and was often 10YR 4/6, 5/6, or 5/8. It was this orange color that first led us to suspect the cambic was actually a spodic horizon. Colors are an important tool for identifying soil development and organic matter content. Colors are an important tool for identifying soil development and organic matter content. How is the Approach to Soil Science and Management Changing in Rocky Mountain National Park? 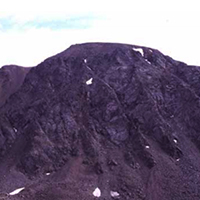 The soil survey of Rocky Mountain National Park was required by the NPS as a tool for calculating erosion potentials on all soils within the park that would be subject to more intense land use such as hiking, horseback riding, camping, and various research projects that were in progress within the park. It also provided information for construction, septic systems around the main compounds where much of the tourist traffic occurred.